A recent study concluded by Alex de Vrie, titled ‘Bitcoin’s Growing Energy Problem’ has revealed some major issues. As the title indicates, the study is based on the energy consumption rate of bitcoins, one of the major and most popular cryptocurrencies. The study has conducted detailed analysis of the energy consumption involved in bitcoin mining and related activities.The results of the stud is shocking and reveals that currently bitcoins energy consumption is in par with the energy consumption of the country of Ireland. The study also predicts that the bitcoin network would consumes about 0.5% of the world’s total electricity by the end of the ongoing year. The person behind the study is Economist Alex de Vries. He hosts the Bitcoin Energy Consumption Index in his popular Digiconomist blog. In his paper ‘Bitcoin’s Growing Energy Problem’, published on 16th May in the scientific journal ‘Joule’, the economist tries to and succeed in quantifying bitcoin’s energy requirements. 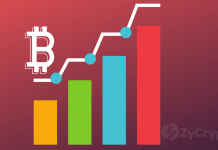 Interestingly bitcoins energy demands, like the cryptocurrency’s wildly fluctuating value, had always attracted much attention. In spite of this, the challenge remains in estimating the exact amount of the electricity consumption so as understand the impact and formulate policies. 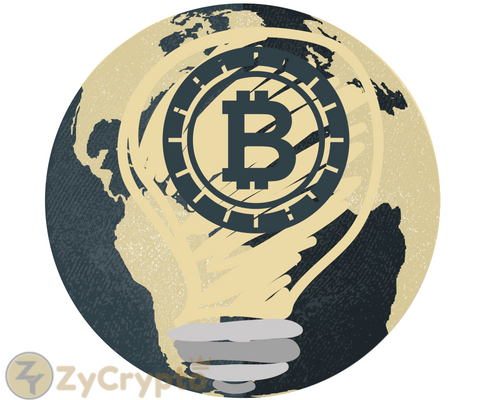 The source of electricity demand is to provide the energy needed for operating a computer so as to facilitate the mining of the bitcoins. Mining of bitcoins is a complex process wherein new units of cryptocurrencies are generated by solving complex mathematical puzzles. As the bitcoin’s network grows, the puzzles gets more complicated and would in turn demand a higher computing power. 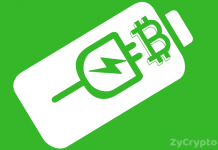 The current estimate of the bitcoin’s energy demand is the first of its kind and have been peer-reviewed. The new discussion would add to the ongoing debate on modes of addressing the environmental impact of the world’s most valuable cryptocurrency, bitcoin. The calculations use statistical formulas based on economics. The estimate reveals around 2.55 gigawatts usage by the bitcoin network. This means that one single transaction of the bitcoin would consumer as much electricity as an average household in the Netherlands uses in a month. However, the economist predicts that as the year concludes, the usage would move up and would intake around 7.7 gigawatts, which is equivalent to the energy consumption of Austria and also about 0.5% of the world’s total consumption. According the economist himself, “…half a per cent is already quite shocking. It’s an extreme difference compared to the regular financial system, and this increasing electricity demand is definitely not going to help us reach our climate goals,” In a previous study Mr de Vries, has predicted the period that would take for the bitcoin’s energy consumption to become unsustainable. During the rapid rise of the bitcoins in 2017, had the network growth sustained in the same pattern then it would have would have required all of the world’s current energy production so as to continue support itself by 2020. Ironically, even when the users are not winning any coins via mining, they are still expending computing power. In face of this growing dilemma many states in the US have already imposed restrictions in place around bitcoin mining. 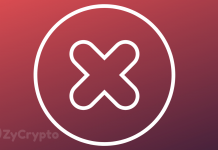 Previous articleBitfinex Requests Users To Submit Tax Records, But Why? Next articleWhat are the Most Popular Trading Indicators and Charts used by Cryptocurrency Exchanges?